ASHA International collects and stores information that you enter in connection with the Services. To use some services, ASHA International may collect limited personal information that can identify you or that can be used with other sources of information to identify you (“Personal Information”). When you use the website, ASHA International may also collect certain information that does not identify you individually (“Anonymous Information”). For example, ASHA International may collect your IP address, browser information and website domain name every time you use the Services. ASHA International may also collect information regarding user-traffic patterns and website usage. ASHA International does not use or install spyware on your computer. ASHA International does not use spyware to retrieve information from your computer. Like many websites, this website uses “cookies,” which are files stored on your computer’s hard drive by your browser. Cookies help ASHA International identify users and optimize their website experience. Most browsers accept cookies automatically but allow you to disable them. ASHA International recommends that you leave cookies enabled so it can offer you a better website experience. ASHA International may use Anonymous Information to help it determine how its users interact with parts of the Services so it can improve the Services and make them more useful. ASHA International may also use or share Anonymous Information with others in any other manner that ASHA International deems appropriate or necessary. ASHA International’s Use of Your Personal Information. ASHA International may use your Personal Information to contact you about programs and opportunities related to the ASHA International’s mission or that of the “You Can Recover” project. For example, ASHA International may use your Personal Information to contact you about new offers, newsletters, action alerts, press releases, information about ASHA International programs, volunteer opportunities and donation appeals. ASHA International may share your Personal Information with non-affiliated third parties that are trusted, like-minded organizations. ASHA International may also exchange its support contact list for other non-profit organizations’ lists for targeted uses. These practices are intended to allow ASHA International and trusted, like-minded organizations to communicate with a broader audience about community events, policy concerns, fundraising endeavors, and other information that is likely to be of shared interest. You may opt out from having ASHA International share your Personal Information to non-affiliated third parties by sending ASHA International an email with “Opt Out of Third Party Sharing” in the subject line to [email address]. ASHA International may occasionally have third party agents that perform functions on its behalf, including without limitation marketing, website development or hosting, web analytics, credit card processing, and fraud protection. These third party agents have access to the Personal Information needed to perform their functions and are contractually obligated to maintain the confidentiality and security of Personal Information. They are contractually restricted from using, selling, distributing or altering this data in any way other than to provide the requested services to the website. ASHA International may disclose Personal Information to government authorities and to other third parties when compelled to do so under law (and/or under a reasonable interpretation of the law), including without limitation in response to court orders and subpoenas. ASHA International may also use or disclose Personal Information if required to do so by law or in the good faith belief that such action is necessary to: (i) conform to applicable law; (ii) protect and defend its rights or property, the website or its users, and (iii) act under emergency circumstances to protect the personal safety of ASHA International, its users, and others. 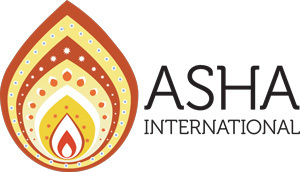 In the event that ASHA International, any affiliate of ASHA International, or substantially all of its assets, are acquired by one or more third parties as a result of an acquisition, merger, sale, reorganization, consolidation or liquidation, Personal Information may be one of the transferred assets. 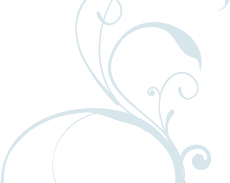 For purposes of this policy, an “affiliate” of ASHA International is an entity that is under the control of, or under common control with, ASHA International. If you receive an email or other correspondence requesting that you provide any sensitive information that seems suspicious to you, please do not provide such information, and report such request to us at jessica@myasha.org. This website is not intended for use by children under the age of 13. ASHA International does not knowingly collect Personal Information from children under the age of 13. If you are under the age of 13, you must immediately discontinue use of this website. As of January 1, 2005, California Civil Code Section 1798.83 permits end users who are California residents to request certain information regarding disclosure of personal information to third parties for their direct marketing purposes. To make such a request, please send an email to jessica@myasha.org and include the phrase “1798.83 Privacy Request” in the email subject line. If you have any questions or comments regarding ASHA International’s privacy practices in connection with the “You Can Recover” project, you may contact us at jessica@myasha.org.